"The truth, however ugly in itself, is always curious and beautiful to seekers after it." Dead Cold (2007) by Louise Penny is the follow-up to her multiple award winning debut mystery novel, Still Life (2005), which introduced Chief Inspector Armand Gamache of the Sûreté du Québec. 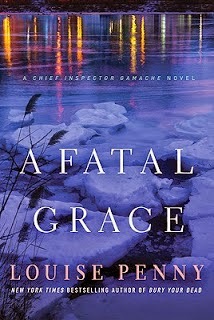 Louise Penny made it on my wishlist on account of the reviews posted by Patrick on his blog, but a few topics (here and here) severely mocking the "ultra-modern," socially aware and character-driven crime novels on the GADetection Group slingshotted Dead Cold to the top of the pile. 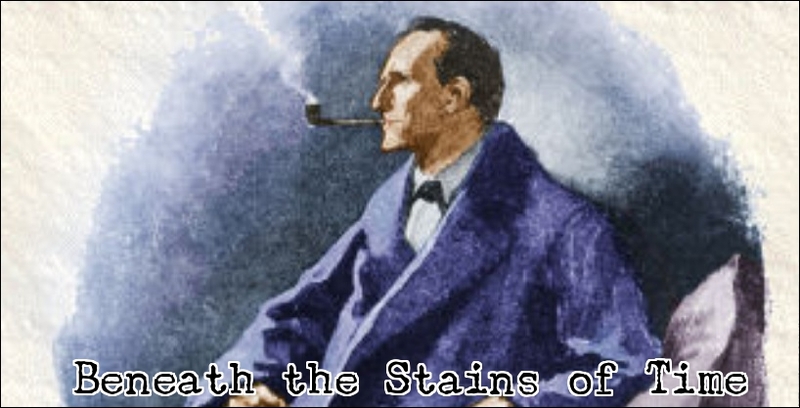 The topic is worth a peek, unless you consider yourself to be a member of the "respectable wing" of the genre, because that place is teeming with barbarians who read detective stories just for fun. Anyhow, I can see how Dead Cold, originally published as A Fatal Grace, wasn't awarded this year's Edgar, because it's another obstacle in the path of the Crime Novel becoming Serious, Respectable and Dignified Literature – even going as far as tossing an impossible crime angle in the plot like the proverbial monkey wrench. Good job, Mrs. Penny! The scene of the crime is the small, quiet Québécois town of Three Pines, wrapped in the white powdered cloak of the Christmas season, where the annual Boxing Day curling match is rudely interrupted by a piercing scream. CC de Poitiers was a self-invented self-help guru, who created the self-proclaimed successor of Feng-Shui, a patchwork of philosophies known as "Li Bien," and was obviously full of herself and a cruel streak – which provides ample motives for her assassin-in-waiting. And there are more than enough potential murderers walking around in Three Pines... including her own family. However, the murky method for dispatching CC can be labeled as esoteric. De Poitiers was sitting in a crowd, on a frozen lake, watching the game when someone, somehow, managed to electrocute her! Armand Gamache's team is called in and (I think) he partly epitomizes the difference between Canada and America, because Gamache appears to be a lot closer related to the European-style policeman you'll find in modern mysteries than his American colleagues of the today. Gamache is a hardworking, capable policeman who’s married and relies mainly on teamwork with office politics usually making things more difficult than they should be. I was tempted to compare Gamache with DCI Tom Barnaby from the Midsomer Murders, but, as I read further, Gamache also began to remind me somewhat of Inspector Bram Petersen from M.P.O. Books' District Heuvelrug-series – which was also influenced by Penny's plotting technique and ability to combine symbolism with plot-patterns. The main difference is the location and culture of the story's backdrop. It's modeled as a typical English-village mystery, but you'll never mistake it for one as the characters populating Three Pines, fleshed out without cannibalizing the plot, are Canadian. I think this is the first (very) Canadian mystery I have read, but, as a foreign reader, it adds an extra layer of attractiveness to the story – especially when the author isn't above giving the surrounding an air of mystery. Quebecois are described as undistinguishable from one another, all wrapped in winter clothing, and how a murderer can practically move around unobserved and pepper the story with historical references to the House of Plantagenet, allusions to Mary Shelley's Frankenstein (1818) and you've a book that I couldn't wait to get back to for nearly a week. I commend Penny for making me reject the murderer, but coming back to this person made, logically, sense and there were clues. Or, to use the term approved by the politburo, "indicators." I have to point out, before wrapping up this review, how much I enjoyed the false solution that nearly fooled Gamache, which basically required a couple of Canadians to violently agree with each other on a horrible, horrible decision. Excellently tied-in with the seemingly impossible electrocution and actually more believable, but the eventual explanation gelled better with the overarching plot. 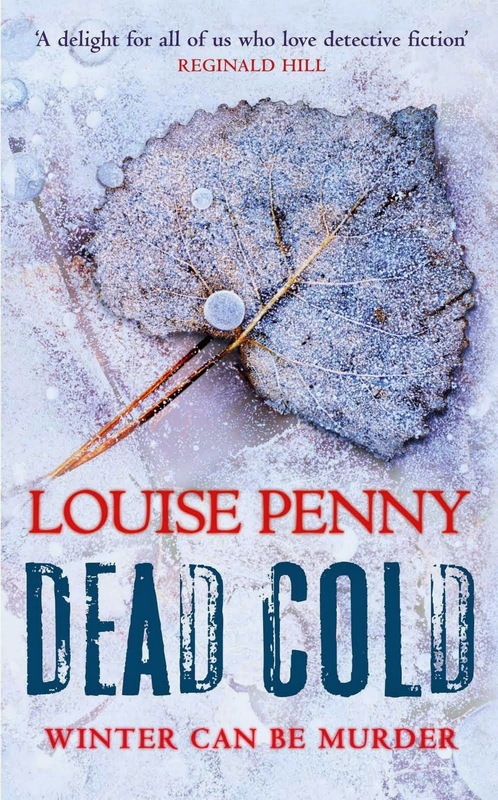 So, to finally put an end to my first, rambling post in exactly two weeks time, Dead Cold is an enjoyable, well-written, fair play mystery set in a place that's surprisingly overlooked in a genre (once) very popular in the Angelo-Franco world, but Penny has clearly corrrrected that oversight. I'll be more than likely back to peek over Gamache's shoulder again, because Penny reportedly wrote another impossible crime novel! "Speaking is silver, silence is gold." 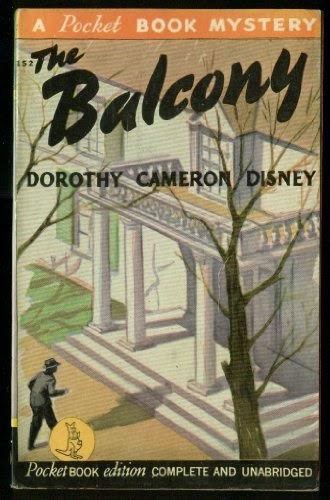 Even occasional readers of detective stories are probably familiar with some of the shopworn tropes and timeworn clichés of the genre, but they can still yield surprising results in the hands of a talented writer – which immediately brings me to The Balcony (1940) by Dorothy Cameron Disney. Ah, yes, a Disney who indulged in the fine, gentle art of murder and blood spattered corpses. The Strawstack Murders (1939) is a minor masterpiece and Death in the Back Seat (1937) isn't far behind, but The Balcony is altogether a far more soberer affair than its predecessors. There's more emphasis on story telling, characterization and social commentary, which doesn't mean that the "Had-I-But-Known" approach from the previous novels was completely abandoned. Disney's heroin at the helm of this standalone, Anne Hieronomo, still reflects at the opening of the story "it did not occur to me that the dead hand of my great-grandfather would affect my own life and the lives of many others" with some other eerie foreshadowing's. Anne's great-grandfather, John S. Hieronomo, was a leading figure of the abolitionist movement in the South during the American Civil War and settled down in Maryland – where he build "Hieronomo House" – which he bound to his descendents in what would later be deemed as a very shortsighted will. John Hieronomo's inheritance wasn't enough for the upkeep and the place now lays in gloomy neglect, and run a shoestring budget, but the provision to keep Hieronomo House as a dwelling place for the family for the span of twenty-five years has run out. The family is going to sell the house and the place will be turned into a hotel, but, before saying goodbye, they are going to have one last family reunion. What could possibly go wrong? Upon her arrival, Anne meets most of her extended and estranged family for the first time, mostly great-aunts and uncles, but soon begins to notice something is not quite right. Or to borrow a phrase from proper literature, "something is rotten in the state of Denmark." A good, long and solid fence separates the estates of the Hieronomo's from the Ayres, who have been entangled in a bitter feud for the past twenty-five years, but here's my one problem with The Balcony. Representing the Hieronomo's neighbors is the blonde, handsome Dan Ayres, who meets Anne in a "cutesy" scene in the snow, slip in reference or two to the work of the Bard and nobody will notice you're gunning for a Romeo and Juliet angle – which is why I hoped Dan would be the second body promised in the story's summary. Hey, sometimes I hate happy endings. This was one of them. Anyhow, there are more than enough family members for Anne to worry about, wandering in-around the house, beginning when Anne is given the Blue Room by accident. The room that belonged to her great-grandfather, John. There's an all too casual incident with an unloaded gun and, before long, we see some of those HIBK qualities creeping into the story – when the house seems to be filled with would-be-murderers and impending doom. Anne even finds out that picking up, and paying, for a package can look suspicious when her great-aunt, Amanda Silver, suddenly disappears and is found shot in the room she previously spend the night. The family has her back, but Anne's worried what one of them might be concealing behind his or her back. Well, as I said before, Disney focused in The Balcony on storytelling, characterization and some historical social commentary on the black slave trade, which she entwined admirably with the plot. The long dead John Hieronomo and his friend, Amos, a black man, were the most interesting characters in the story and how their actions influenced events over the course of a quarter of a century. However, I can imagine the open, brash way Disney approached the subject might have popped a monocle or two in the early 1940s. What I especially enjoyed about the story was how subtle it appeared to be poking fun at the sprawling, remote country house-mystery with a reunion of people going on, but I'm not sure if that was intentionally or Disney just being a professional – sidestepping the trap of the cliché. For example, there's a reunion at a country house with snowfall, but it isn't a blizzard cutting off the party from the outside world. Before Amanda disappears, Anne hears a sharp sounding click in her bedroom, but when the door is broken down the room is completely deserted. However, there isn't a locked room mystery to be found. The policeman isn't half as dumb and impulsive as he appears. So are the butler, maid and the unknown person lurking in the background. Hell, even racism has a twist in this mystery! Literary nothing is what it seems at Hieronomo House. The Balcony may not be the twisty, complex and knotted affair of the previous novels, but Disney managed to pen one in which storytelling and characterization actually transcended the plot. And that in a book from nearly 75 years ago! Who would've thought that!? By the way, the plot, by itself, isn't too bad, either, but the story and characters cocooning it made the detective-elements just so much better. And, finally, this: I hate reading back my old reviews. I really, really do.